5 pieces Halloween props hanging door decorationï¼festive atmosphere, decorative halloween party. 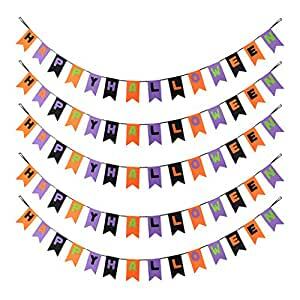 Happy Halloween Banner with pumpkin head and skeleton buntingï¼Halloween party Accs. Easy and funny for your kid to assembled it. The pattern has been fixed on the rope without having to string it. Hallowmas door house garland pennant hanging banner. – 5 pieces Halloween props hanging door decorationï¼festive atmosphere, decorative halloween party. – Happy Halloween Banner with pumpkin head and skeleton buntingï¼Halloween party Accs. – Easy and funny for your kid to assembled it. The pattern has been fixed on the rope without having to string it. – Hallowmas door house garland pennant hanging banner.